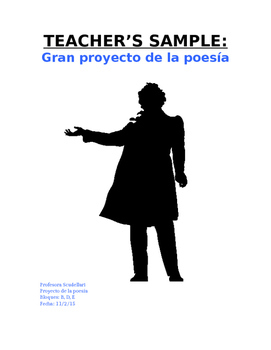 Model the "Poetry Slam" Spanish project (Gran proyecto de la poesía) to your students! 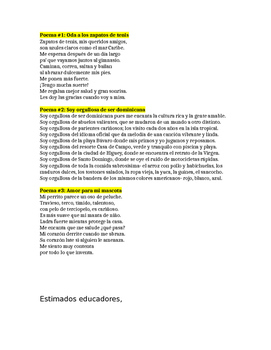 Show my template as a reference or customize per your own personalization; simulate a memorized oral recitation of one poem. 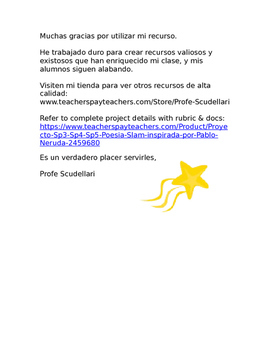 Students are motivated and inspired by your 3 writing samples. The class appreciates this frame of reference while learning about linguistics, poetic devices, Pablo Neruda's most common themes.